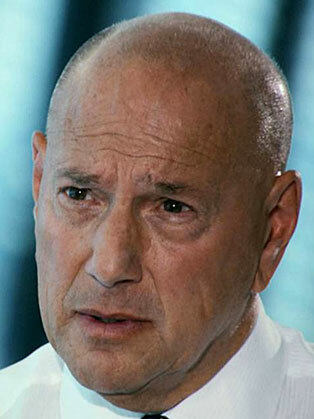 Best known for being Lord Sugar’s trusted aide and tough talking interviewer on The Apprentice, Claude Littner is a successful businessman and television personality who also works as a wonderful after dinner speaker. His varied career has seen him work in a variety of roles from the technology industry to the world of Premier League football. Born in New York in 1948, due to their Jewish heritage his family were forced to flee their home in Austria to escape the Nazi’s before settling in America. His father was a chemical engineer and the Littner family moved to England not long after Claude’s birth. He began his career as an accountant before moving on to becoming a turnaround specialist. In 1993 Lord Sugar acquired Tottenham Hotspur and Claude was appointed as Chief Executive. He remained at the club until 2001 when Lord Sugar sold his majority share. A keen sports fan Claude purchased a stake in the 5-a-side football company Powerleague in the same year. He is currently chairman of computing company Viglen. Television audiences first became aware of Claude in 2005 when he appeared on the first series of The Apprentice interviewing candidates in his now famous style, picking apart their CV’s and business plans in a ruthless fashion. In 2014 lord Sugar’s aide Nick Hewer left the show and Claude was the natural choice to replace him. Observing the candidates in every task, Claude’s quick wit and opinionated persona on the show has made him a hit with viewers. He came to wider UK public recognition through his direct and confrontational style of job interviewing on The Apprentice. He is the only interviewer to have appeared in this role in every series of the programme. When Lord Sugar was majority owner and chairman of Tottenham Hotspur, Littner was its Chief Executive from 1993 to 1998.